Businesses all over the world have been looking for flexibility and quick outcomes. They are increasingly hiring for specific skills rather than following the traditional methods of hiring a person after a holistic assessment. As a result, the workforce is increasingly diverse today. We see permanent employees who are not only full-time but part-time; contractual employees are on multiple kinds of contracts : long-term contractors, part-time contractors, outsourced staff, freelancers, project interns, peak-time staff and advisors. Employees hold various kinds of contracts either directly with the employer or through a staffing company or a project management company. 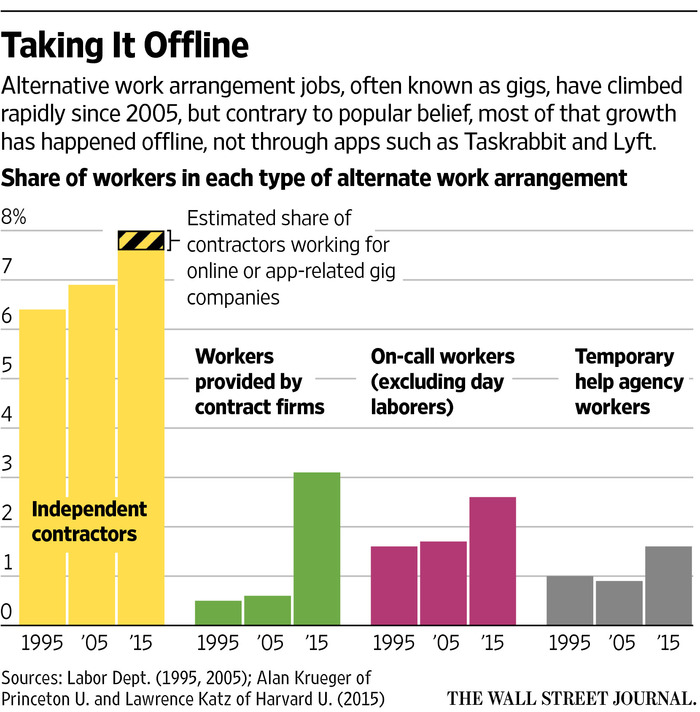 We notice that independent work is getting increasingly popular. A few decades ago, barring a few professions such as doctors, lawyers and artists, most other independent workers did not receive adequate social recognition. Examples are masons, plumbers, carpenters, farm labourers, cooks, taxi drivers, beauticians, electricians, painters, mechanics, music teachers, coaches for various sports activities, and many such. Interestingly, we did not have independent workers such as delivery boys, recruiters, writers, designers and so on! The socio-economic and technological changes around us have given rise to many new professions and new practices in businesses. People do not shy away from taking up entrepreneurial work and businesses adopt a combination of factors to decide the kind of employment they offer. Companies understand what roles are core to their mission and business model. They like to hire permanent workers for those roles, especially if these are strategic in nature. As the strategic component keeps dropping, they tend to go for non-permanent roles. This is where an organization brings in its competitive advantage by staying flexible, managing the costs and engagement levels. As companies blend their workforce, the approach required to manage various phases in the life cycle of an employee is different. Right from attracting talent to off-boarding them, there are several steps that need to be carried out differently. Blend ratio [defined as the proportion of employees in each category] is an indicator of the organization’s agility. As organizations have been looking for flexibility, they tend to spot the match between the candidate’s skills and their context while hiring. Some of them tend to put huge amount of energies for their permanent employees right from on-boarding, performance management, rewards, development and engagement. In the process, other kinds of employees get very little attention from the top management and HR department. As a result, the commitment levels of these temporary or part-timing employees remain limited to opportunism rather than any connectedness with the overall purpose of the organization. Over a period of time, efficiencies and customer satisfaction takes a beating. Hence, these risks need to be managed well by developing a strategic partnership with the service-providers, may it be the IT company providing network support, the Outsourcer providing customer support or the Staffing company providing manpower for sales on the ground. Good for the employees and Good for the Industry! People who donned the roles such as Secretaries, Housekeepers, Admin, Entry-level Sales roles, Technical staff for a Project, Delivery boys, Business support functions saw limited or nil growth in their career unless there was a unique situation in their organization. Since the job content couldn’t change much, their growth was stunted. This problem for an individual was resolved when the person decided to perform specific gigs, work as an entrepreneurial worker and keep the discretion to choose the timing, number of employers and so on. This helped the person getting exposed to a variety of challenges, solving them in various ways, staying flexible about her work hours and patterns. For the industry, it’s a great benefit because they enjoy the flexibility to hire people to solve specific problems, choose amongst a range of options, negotiate the best rates and avail services of individuals who have a breadth of experience. Our economy is changing; so is the social environment. 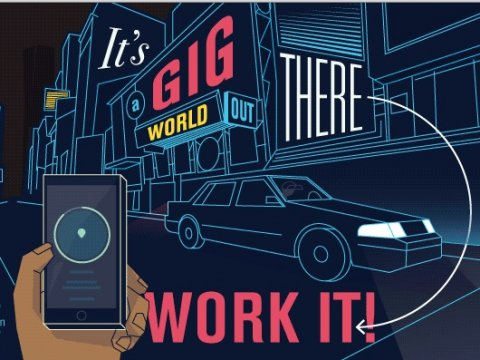 Organizations must ride on the opportunities that the Gig Economy offers us!